Since December I have been staring at the blog without much time to write. It is amazing how fast time flies by. It’s been busy time at work at the Aspire Academy. We are completing a move to a brand new facility which will be unveiled soon (it is pretty impressive by the way!) while carrying on with day to day activities to support the development of our young athletes. Results have been pretty impressive as we already have 5 athletes qualified for the World Junior Athletics Championships this summer and few hopefully to come, some have also won Asian Championships medals last night and things are going really well there. Our new Fencing programme is showing signs of improvement with some great placings and podiums in international competitions. Table Tennis and Squash continue to produce credible international performances and we now have some interesting athletes in Motor Sports and Shooting/Triathlon. Finally, our graduates are doing incredibly well showing that Aspire legacy is strong. It’s been busy also completing some research projects and trying to get them published. A productive few months, but I have to say the whole publishing process is now starting to get on my nerves and I am not sure I still have the energy to endure such process when the reviews received show lack of understanding…but that’s probably a topic for another post. One of the articles I am mostly proud of is this one on the Video Analysis of Injuries at the Handball World Championships played in Qatar 2015. This work is a true example of international collaboration with a lot of people involved in the project and an outcome which challenges the need to review refereeing in a sport in order to reduce the injury outcomes. This project is also one of the many published and led from Qatar which were all part of the Aspire Zone efforts during the World Championships in 2015 to do more work to enhance handball knowledge. New information and knowledge was in fact generated with regards to injuries, performance demands, goalkeepers performances and soon on passing/shoulder load. It is a long process to get data published and available but still all this work is a legacy for the Handball community to enhance our understanding of how to prepare players. I have further contributed to sharing more information about my beloved sport writing a chapter for the last book edited by Dr Anthony Turner on Strength and Conditioning. The collaboration with my bioengineering colleagues in Tubingen to understand more about the implications of using vibration combined to exercise continues with a recently published work on an experiment conducted a couple of years ago on upper body vibration and H-reflex lead by Dr. Federica Sammali suggesting that fatigue mechanisms with vibration exercise may be different than typical resistance exercise. And finally this work from our unit reporting the typical variations in hematological parameters in adolescent athletes. There are more papers currently under review and some about to be submitted which will hopefully see the light in the next few months on: Table Tennis and Squash performance, training load in adolescent athletes, new methods to assess training load and performance modelling and some work on Vitamin D. If the review process is not incredibly painful, they should become available this year. Sporting season is in full swing, so time is even less, but every day is a chance to learn something new and help our coaching community in supporting the athletes to achieve their dreams. In the sporting World, many things have been debated in the last few months. Doping stories triggered by the wonderful documentary Icarus (if you have not seen it yet, do so on Netflix) are continuing and hopefully some actions will be taken soon and everyone will get more clarity about some recent episodes. The last aspect I will briefly touch on is expertise. I am not sure where the sports industry is going at the moment. The internet has clearly facilitated our way to access and share knowledge, however it has also generated a lot of confusion. I share the same worry many of my colleagues have. The concept of “expert” seems nearly lost, especially when it comes to nutrition. Everyone eats – but does that make everyone an expert on nutrition? Would you take cardiac surgery advice from someone who did not go to med school? Be weary of self-proclaimed nutrition “experts”. Few years ago (showing grey hair here), it was important to have credentials before applying for jobs and/or having the right/possibility to speak about topics. Credentials in the World of science refer to academic degrees and publications and in the World of Sport in a combination of the above + experience. I see now a lot of individuals discussing/presenting/debating/writing books on aspects they have no expertise/experience on. There is also a proliferation of self-proclaimed experts offering advice/consultancies and running “educational” activities. I will write more about “expertise” in another post, but my feeling is that our profession is in need of help. I realised I have not written much on the blog for ages now and this is a good time to analyse the year just finished as well as looking a bit into 2017. First of all, thanks to the 13,134 users who read the blog. It feels like a small town was curious about my writing and I want to thank everyone for the more than 72,000 page views. Despite the fact that I am not terribly active on the Blog, “old” articles still seem to be of interest and hopefully in 2017 I will be able to write more. This has been an incredibly positive year (oh well, a part from my knee injury). At work many things happened which were incredibly rewarding. In February 2016, we held the first scientific conference dedicated to Training Load monitoring in Aspire. The conference was a big success also echoed by the #trainingload2016 and the twitter trending. All the talks are now available for free online and in the first few months of 2017 a special issue of the International Journal of Sports Physiology and Performance will be made available online (again for free) with all the papers and reviews from the conference. Dr. Marco Cardinale (QAT) – Monitoring Athlete Training Loads – The Hows and Whys from Aspire Academy on Vimeo. Training activities and at Aspire were in full swing and summer camps saw few of our young athletes get medals in Regional and Continental championships as well as qualifications to World Juniors in many sports. 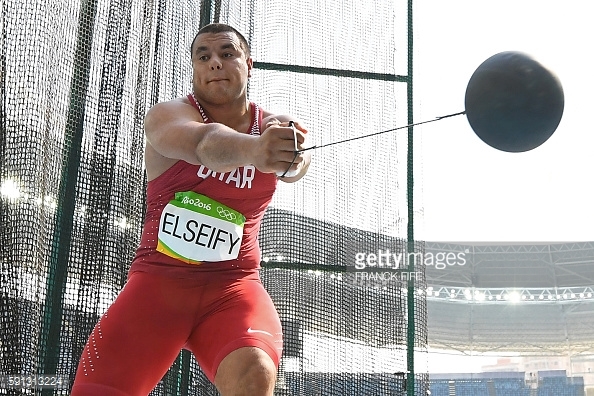 In July our student/athlete Mohamed Ibrahim Moaaz coached by Ivica Jakeljic became World Junior Champion throwing his discus 63.63 meters. An incredible result considering his young age and a testament to the excellent coaching and support received at Aspire Academy since he joined. 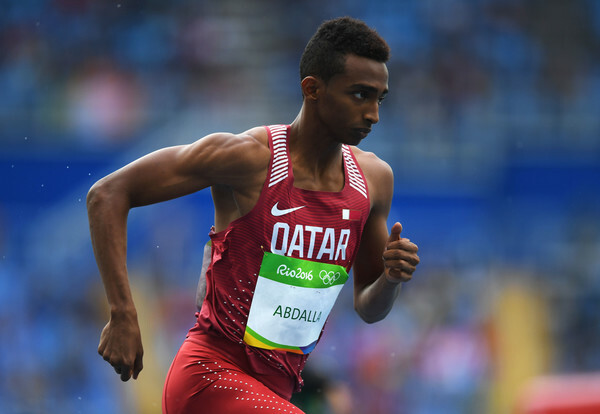 In August, we had four former students qualified in Rio de Janeiro for the 2016 Olympics and they all did very well with Mutaz Barshim coming back to Qatar with an historical silver medal. These were incredible results for a small country like Qatar and something to be really proud of. 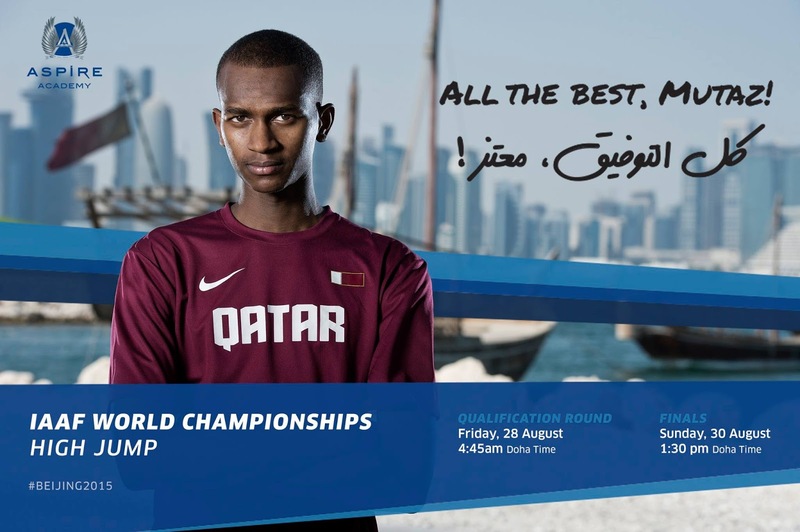 furthermore, these are very young athletes with great potential for the “home” World Championships in Doha 2019. 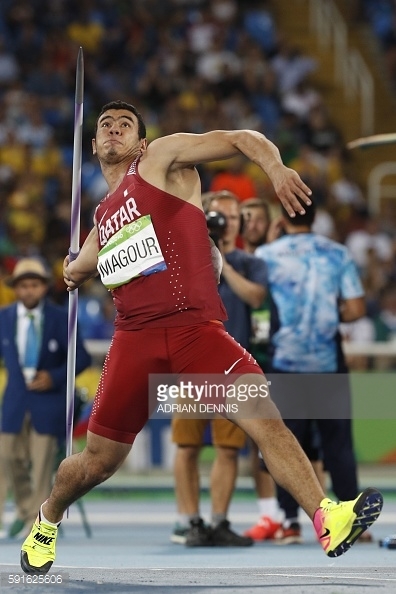 For the first time in years I was away from the Olympic environment and I have to say I missed it, but it was great to support Qatar and also see how well my former colleagues did with Team GB and Team Italia. The Olympics always give us incredible stories of athletes, coaches and support staff capable of doing amazing things. However, sadly, they also remind us of the dark side of sport with many doping stories, in particular the McLaren reports (1 and 2) from WADA. In October I was invited to speak at the 50th anniversary of the Italian School of Sport at the Olympic Committee and it was great to see again so many familiar faces, but also remember former colleagues like the late Marcello Faina and my mentor Carmelo Bosco. I left Italy many years ago to pursue my career in sports science, and it is always special to be able to come back and hopefully inspire the younger generation of Italian Sports Scientists. Thanks to work within my unit and collaborative efforts with other scientists, this has been a productive year from a scientific standpoint. First we published this work on Citrulline Malate conducted before the London 2012 games. Then this paper on Ischaemic Preconditioning, part of a series of studies conducted with colleagues in UCL before I left for Qatar. Work conducted in the lead up to London 2012 with Boxing and in the lead up to Sochi 2014 with Skeleton was also published. The first of the papers related to the Handball study conducted during a World Championship in Qatar was also published as well as the mini review from the talk I gave at the Training Load conference. In the last few weeks, we also received acceptance for a study conducted understanding practices and attitudes towards recovery in adolescent athletes in Asian and UK cohorts, and this work from Dr Pujari’s PhD in Aberdeen on a novel vibration exercise device. Few papers are still under review or just accepted but not available online yet, so overall it has been a very productive year. 2017 looks already interesting. We have athletes competing in international competitions and trying to qualify for World Youth and Junior events in various sports. Some interesting scientific efforts are continued to understand more how to support better young athletes and I am due to speak to a super interesting conference on young athletes in Montreaux in September 2017. If you want to know more about this event just go on http://yaf2017.org, it is going to be a very interesting conference and I am looking forward to learn from many international colleagues as well as give my views. So, au revoir 2016 and welcome 2017.